The band was formed in 2016 and was the first recipient of the Lebowskis' DEV(elopment) RES(idency) program. They continue to perform regularly, locally and nationally, and this year released their first LP, 'Abstract Playgrounds'. 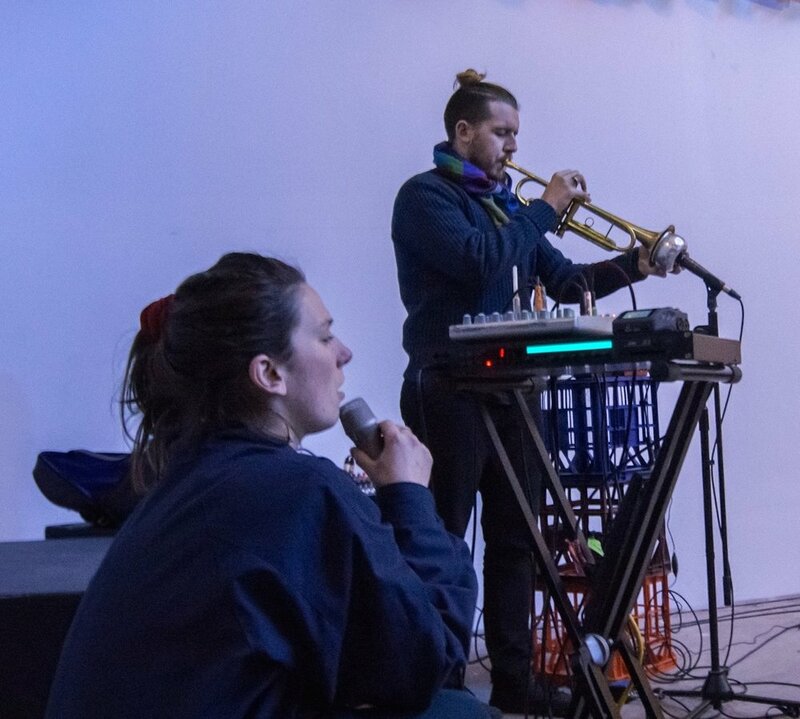 Reuben Lewis, from the popping psychedelic jazz collective I Hold the Lion’s Paw, and Emily Bennett, from the landscaping surrealist improvised trio Great rack and an empty club reverb, clash in the meta-named duo, I Hold The Great Rack. Lewis hustles on trumpet through an outboard of effect pedals as Bennett speaks her mind via an outdated Korg multi-effects rack. Bennett's project Great rack and empty club an reverb received DEV RES II in the second half of the 2016.